Adding Integers - Alphabet Integers Group Given integer values for letters, students are asked to find various things that have the greatest value. Great as a group contest, but can be done individually. Change "greatest" value to "least" value for variation. Adding Integers 1 Riddle Add two integers <= 10. 24 problems. Adding Integers 2 Color by Number Add two integers <= 10. Adding Integers 4 Trivia Add two or three integers. Integers up to three digits. Adding Integers 5 Block Riddle Riddle Add four integers, values up to 100. Adding Integers Square Puzzle Puzzle Given sums, find the addends. Adding and Subtracting Quotes Add and subtract single digit integers. Adding and Subtracting 2 Riddle Add and subtract double digit integers. Adding and Subtracting 3 Riddle Add and subtract double digit integers. Adding and Subtracting 4 Riddle Add and subtract up to four integers. Integers up to 2 digits. Adding and Subtracting Drill Standard 100 questions, all integers < 20. For the advanced student who can finish in under 5 minutes. Make it a fun contest! Adding and Subtracting Word Problems Standard 12 word problems. Students will add or subtract integers. Adding and Subtracting Word Problems 2 Riddle 12 word problems. Students will add or subtract multiple integers. All Integer Operations 1 Riddle Basic integers. All Integer Operations 2 Riddle Larger integer values. All Integer Operations 3 Riddle Division in fraction notation only. 25 problems, integer values < 125. All Integer Operations 4 Maze Division in fraction notation. Integer values < 150. Up to three digits for addition and multiplication. All Integer Operations Puzzle Puzzle 5x5 puzzle. All Integer Operations Word Problems Standard 16 word problems. Sum and Product Integer Diamonds Given two integers a and b, students will find both the sum and product. Dividing Integers Riddle Basic integers. Division symbol notation. Dividing Integers 2 Riddle Integers <= 100. Both fraction and division symbol notation. Dividing Integers 3 Riddle Integers < 175. Both fraction and division symbol notation. Dividing Integers 4 Riddle Integers < 225. Both fraction and division symbol notation. Integer Multiplication BINGO Game Class set of 32 pre-filled mini bingo cards for multiplying integers. Answer Key has values to call out (teacher makes up own multiplication problems for each value). Multiplying Integers Riddle Multiply single digit integers. Multiplying Integers 2 Riddle Multiply single digit integers. Multiplying Integers 3 Riddle Single times double digit. Multiplying Integers 4 Riddle Most have double digits. 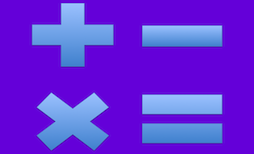 Multiplying Integers 5 Block Riddle Riddle Students will multiply 4 integers, values < 15. Multiplying Integers Square Puzzle Puzzle Given products, find the factors. Multiplying and Dividing Riddle Basic integers. Multiplying and Dividing 2 Riddle Larger integer values. Subtracting Integers Math Toon Subtract single digit integers. Subtracting Integers 3 Riddle Subtract double digit integers. Subtracting Integers 4 Riddle Subtract double digit integers. Subtracting Integers 5 Riddle Subtract three digit integers.